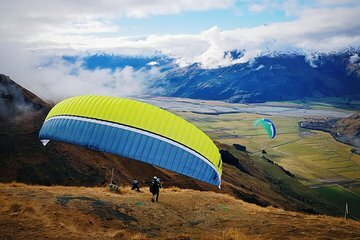 Before you head up into the slopes or go trekking into the bush, start your day with a bird’s-eye view of picturesque Wanaka on a tandem paragliding adventure. With this package, fly safely across the Otago-Southland landscape with an experienced pilot to guide you as you glide in the smoother, more serene early morning air conditions. Take in panoramic views of Lake Wanaka, Treble Cone, the Twin Falls and even Mt Aspiring National Park on the horizon.